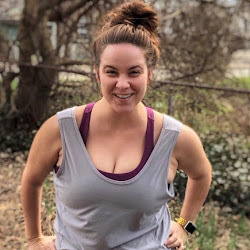 I found myself with a few extra bucks in December - that never happens, right?! 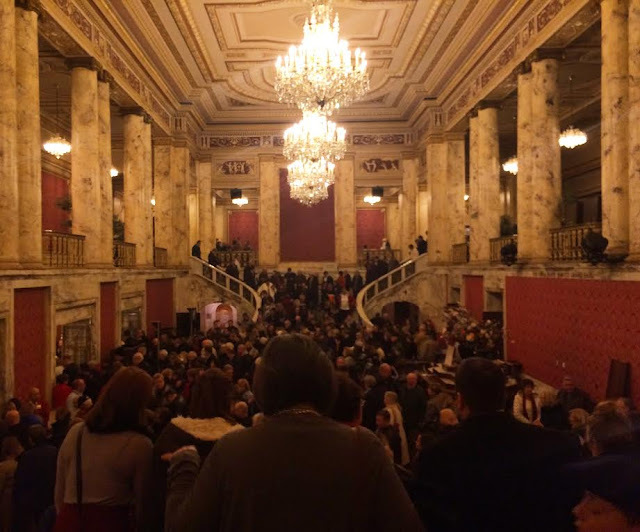 - so I decided to treat myself to tickets to a couple of upcoming musicals at Cleveland's Playhouse Square. 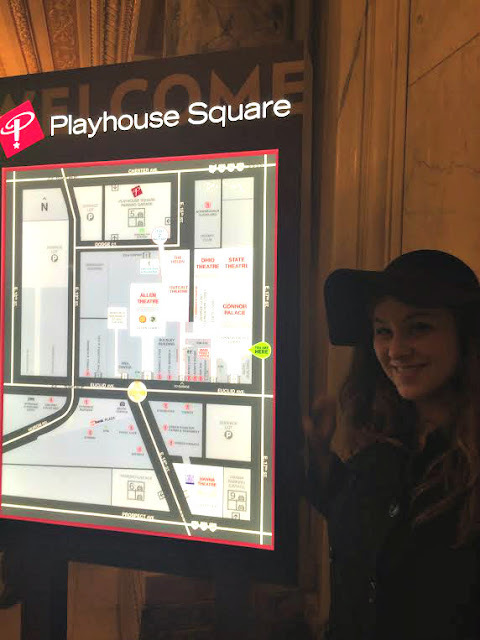 Did you know that CLE has the second largest theater district in the country, second only to Broadway? Yeah, that's pretty cool. 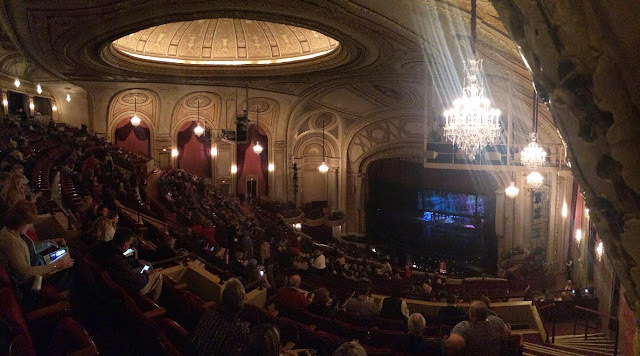 I took advantage of Playhouse Square's Smart Seats program, which offers $10 tickets in the nosebleeds to many of the shows that come through, musicals & otherwise. 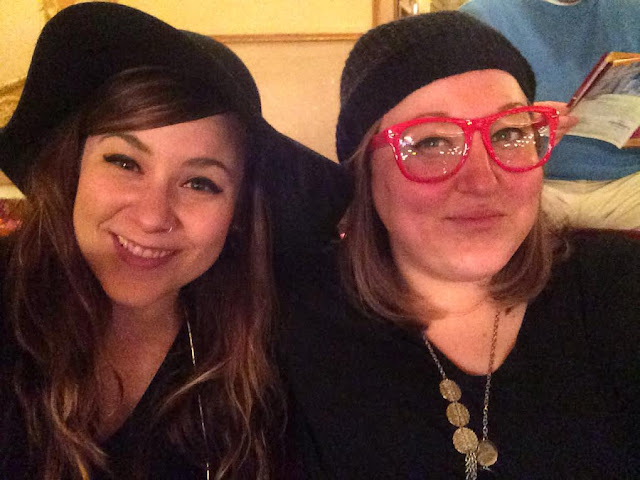 For just $10 apiece, I scored two tickets to If/Then & two more to Matilda. 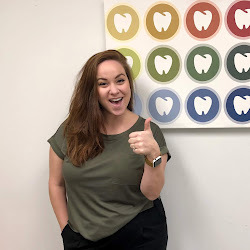 I invited Lindsey, one of my best friends, to join me at the former last Tuesday night. The weather was brutal that night, which didn't bode well for Lindsey's 45-minute drive to Cleveland for the show. Still, she ventured up despite the weather, & we headed to Barrio for a very fancy dinner of tacos & margaritas before we caught a Lyft (which I now prefer to Uber) downtown. The GE Chandelier - the largest outdoor chandelier in the world, LOLOLOL, though it's definitely beautiful - was glowing brightly through the snow, which always gives me a little bit of a Cleveland rush. I didn't know anything about this show going into it, just that it was one of the hot new musicals & that I should be glad to have snagged a ticket at all, much less for ten bucks. As we sat in a Starbucks before the show, I Googled the premise: "It tells the story of a 40-year-old woman named Elizabeth who moves back to New York City for a fresh start." After I read it aloud from Wikipedia, Lindsey & I looked at one another... & groaned. That's basically some version of the plot line to, like, everything, ever, right? I was also concerned that our seats would be, well, what we paid for them, some version of an obstructed view & other less-than-ideal elements. As it turned out, though, our seats were just about perfect. Sure, they were high up - we were in the third row from the top - but the view was, for the most part, totally clear & perfectly lovely. We had a great view of the beautiful Connor Palace, & because we were sitting at the end of a row without anyone behind us, I didn't even have to remove my large & ostentatious hat! 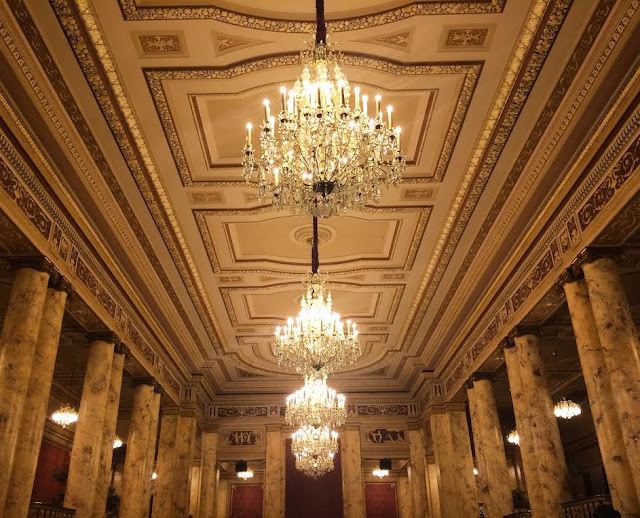 I was also completely wowed by the architecture of the Connor Palace, one of the most beautiful theaters in which I've ever set foot. Built in 1921, it's a former vaudeville theater that also hosted the likes of Bing Crosby, Frank Sinatra, & The Three Stooge. When it opened, it was home to the world’s largest electrical sign & the world's largest woven-in-one-piece carpet! These days, I don't think it boasts any such honors, but it sure is pretty (despite my total failure to photograph it well). If I'm being honest, If/Then wasn't exactly my style, though I can't figure out what, exactly, rubbed me the wrong way. It just didn't draw me in the way I wanted to. Most of the musical numbers, at least in the first half, felt a bit uninspired & unmemorable, & the story itself seemed cliche, a combination of Rent meets Sliding Doors. All of that was compounded by the fact that the weather outside was awful, & Lindsey had such a long drive back in it that I actually suggested we leave at intermission. We decided to stay, & fortunately, the second half of the show was a lot more engaging. It finally drew me in such a way that I ended up having the sort of emotional experience I seek out of live theater. For me, the most exciting thing about the show - aside from the experience itself - was seeing Anthony Rapp live & in person. You may know Rapp as Mark Cohen, one of the main characters in the original Broadway production of Rent. Though he's now 44 & still playing characters who squat in NYC apartments, his voice is so recognizable, so familiar, so comforting that I left If/Then wanting to re-listen to the entire Rent soundtrack! As great as he was as Lucas in If/Then, he'll also be Mark Cohen to me. "We're not gonna pay-ayyyy..."
Overall, it was a really fun experience, & I'm looking forward to seeing Matilda at the State Theatre (once home to the the world’s longest theater lobby) in May. 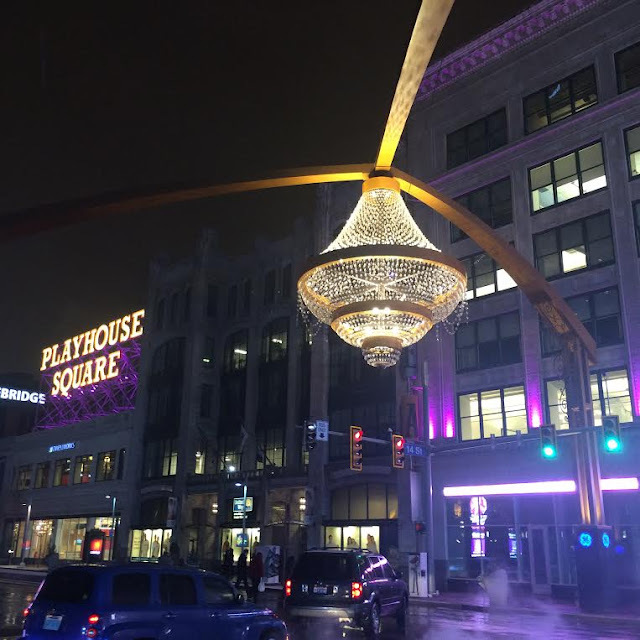 Cleveland has a real gem in Playhouse Square, & I intend to start taking better advantage of it! 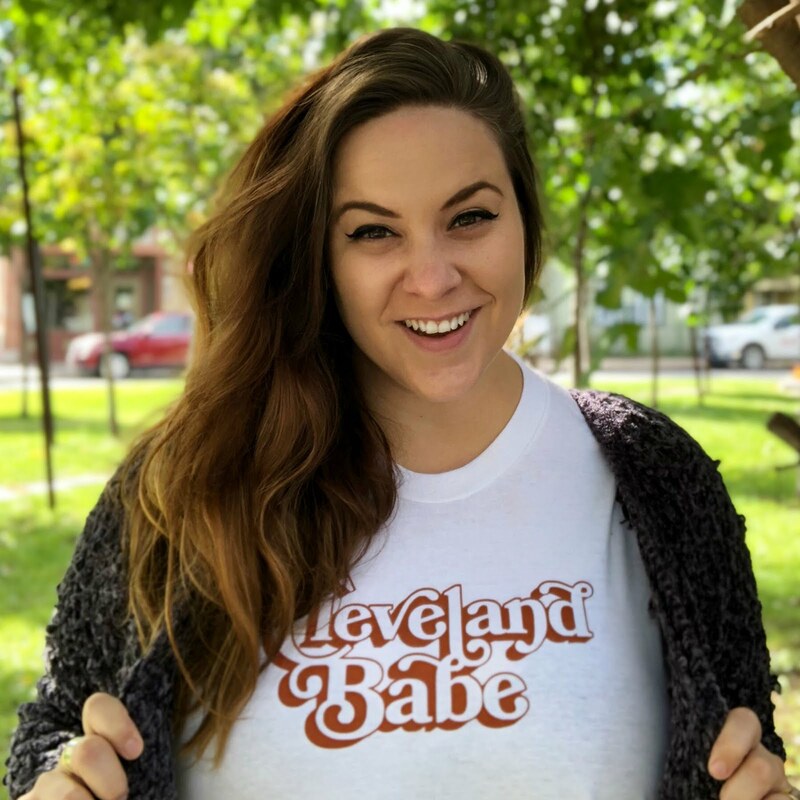 Check out my other Cleveland adventures, which so far include attending an extravagant brunch, drinking with dinosaurs & exploring an historic cemetery - &, of course, stay tuned for more to come!